Frances works collaboratively with staff to establish the service that best meets their needs. She evaluates the support services that she provides and is also open and responsive to informal feedback. She is aware that working out the best way of providing staff support and psychological input to a team can take time and a bit of experimentation! Frances can provide both long-term support on a six-month or yearly basis or more ad-hoc input when required. 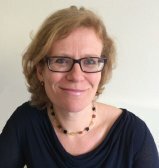 Frances is a member of the British Psychological Society’s register of applied psychology practice supervisors (RAPPS).